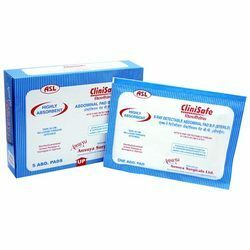 We offer Clinisafe abdominal pad with X-ray Detectable Threads. It is used for abdominal surgeries as mopping pad and is highly absorbent, Sterilized by Gama Radiation. 25cm x 40 cm x 8 ply.